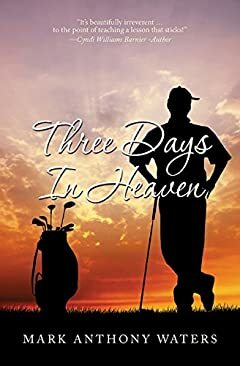 After a heart attack, lawyer Tony Stanford finds himself not in this world, but on a heavenly golf course. Not ready to believe he is dead, his wife, best friends and the doctors work against time to prove to the hospital board he's not really gone. Even with its religious themes, Three Days In Heaven is a story a person of any faith can enjoy. Open-heart surgery, dying, and meeting up with God all seem like serious topics, but the book deals with them in a lighthearted and believable way. â˜…â˜…â˜…â˜…â˜… - "Mark's book has forever changed how I look at life and the afterlife. It is truly a literary masterpiece. One for the ages." â˜…â˜…â˜…â˜…â˜… - "God for the modern world." â˜…â˜…â˜…â˜…â˜… - "This is the first book I have finished beginning to end in quite some time. Mark puts a spin on a relationship with God that most people can easily relate to. Awesome book."